Welcoming the Queen to Berkhamsted, May 2016. It’s been an exciting few years for Petals! In 2016 the Queen visited Berkhamsted to join Berkhamsted School for their 475th anniversary celebrations. Petals were invited to create a posy for the Queen as a gift, and floral decorations for the event. 2017 is another special year; it marks 25 years since we launched the Petals brand with the opening of our first shop in Thame, Oxfordshire. 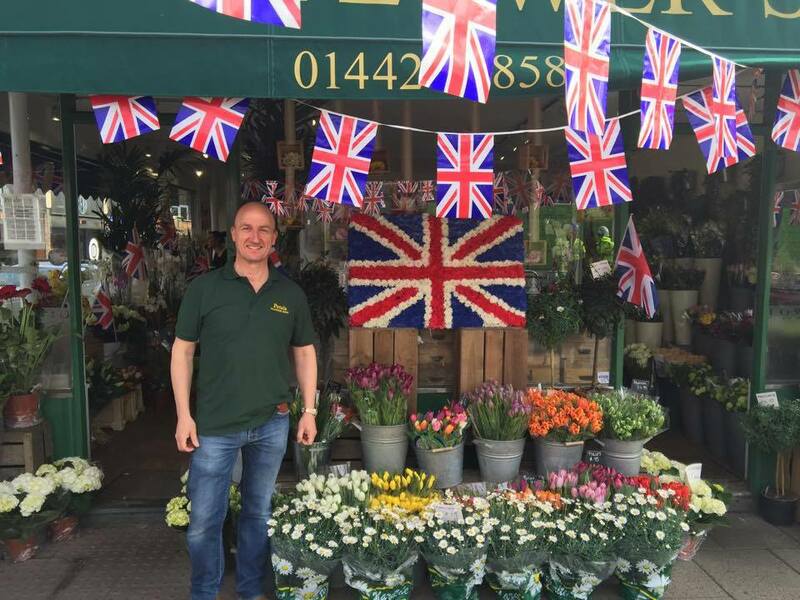 Our second shop in Berkhamsted was established in 2004.
Business has continued to blossom with the introduction of a dedicated Wedding Flowers Room where we prepare all our special event flowers. The Petals Flower School is also growing with regular hand-tied bouquet and wreath making classes. Petals specialise in creating beautiful floral designs for any occasion, from simple bouquets to show-stopping centre pieces. Our florists can translate any vision into flowers; let your imagination run wild!